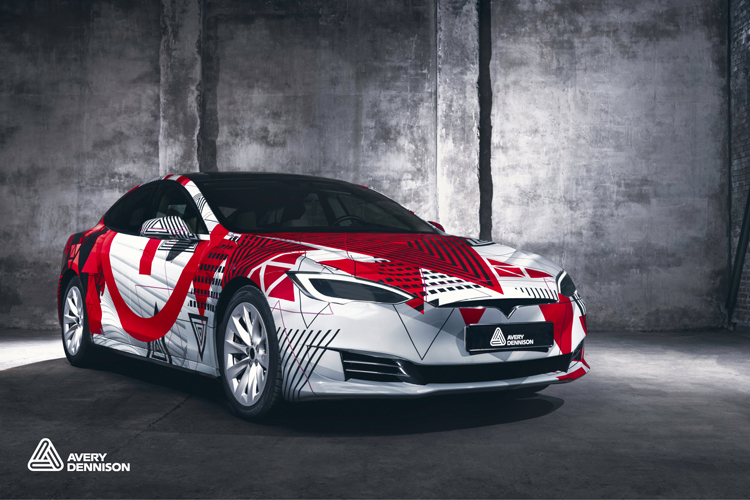 Among the latest materials science innovations from Avery Dennison Graphics Solutions is a PVC-free wrapping film designed to cover a vast range of different applications. Engineered for vibrant colour pop and great conformability, the new MPI 1405 Easy Apply RS™ film accommodates applications ranging from vehicle wraps to challenging textured building surfaces, including brick and concrete blocks. Easy Apply RS™ adhesive technology ensures simple air-egress, repositionability and slideability for faster installation.